I've been a paying customer for about a week now and hubic.com is totally unusable. It's completely impossible to put any files on it. Very unhappy with it. Wish I saved my 50 euros for something else. Same issue seen from Brussels, Belgium. Sluggishly slow on upload plus many errors in log files, the update process, set to be done once a day, seems endless. any recommendations for a replacement service? Same problem here. I'm paying for a 10TB account, but since a couple of days it's practically impossible to upload anything. It's a shame that there is no official statement here about the issue. I hope unless they fix it soon, they'll be facing claims for non-fullfillment. I am experiencing same problems, upload is very, very slow and 50 kb/s, sometimes 500 kb/s but now I regularly see it's 0. If 5€ is not enough to keep service usable then please, ask 10€ or 15€, for 10 TB of space it's still dirt cheap. 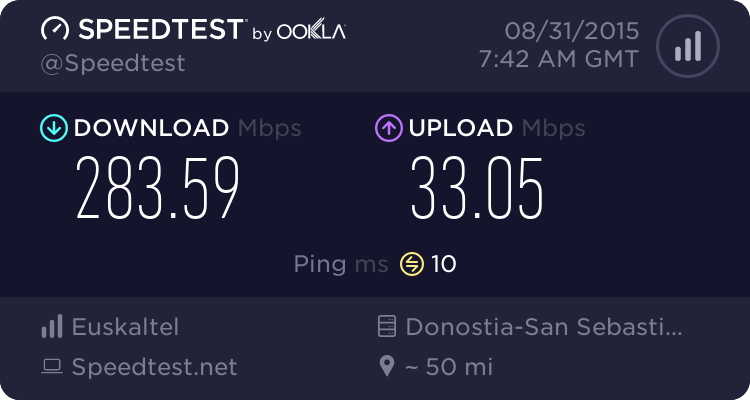 Exactly the same for me: very low upload speed and it is impossible to upload or synchronise big files (more than 10 Mo). Always timeout ! Any answer or solution from Hubic? Until now I didn't even realize that the same issues are also experienced by people who actually pay for the service. What makes it even worse is that apparently no-one from Hubic has left a reaction here so far. This drops my confidence in Hubic to below freezing point. As at current speed I can just as well migrate everything to another service provider... Does anyone know an alternative? I don't need more than 50 GB of storage as I only want to backup my pictures. Same here. Currently the API ist virtually non-existent when it comes to put request. No data is being uploaded and hubic doesn't even repond with error codes. The response ist just blank. All our automatic scripts drive against a wall and our data is horribly out of sync by now. We would have no problem with reduced speed but this behaviour renders this whole service unusable. On top of this comes the fact that there is no public statement from hubic. Is there any information on when this issue will be resolved? I've got also a lot of timeouts and bad upload speed. it's impossible for me to upload any data. I've got a 10To account and i can not use it because upload is too slow, can i have my money back!!!??? At the moment I'm also experiencing a very slow upload. It seems to go max speed and then nothing happens for some time. Although I've got a free account this is not really inviting me to upgrade. Hope this will be resolved on short notice and not in months from now. I would appreciate a reply by someone of the hubiC team. Untill now I've been very happy with this service! I have the same problem. The hubiCTeam have reply by my private message request. There are limited the bandwith pending the infrastructure upgrade in two months. I understand the necessity to protect the infrastructure with the increase the load but ther is the drastic limitation overnight. I'm also facing the same issue. Till last week, I used to be able to upload at 15-20 mbit/s (2MB/s) ... now only about 512 kbit/s (64KB/s) . Download also seem to be limited to 1.5-2 mbit/s (200KB/s). Also tried upload/download from a OVH hosted dedicated server - still the same slow speeds !!! Tried using both WebUI and SwiftExplorer - same slow speeds !!! hubiC claims to give me 10TB storage space ... but with these speeds - it's practically useless. Going to cancel my account at the end of this month.